I love a good burger, but I wouldn’t want to waste the calories on fast food burgers. I prefer independent, standalone spots. Places that use gourmet cheese, potato flour bread, a secret sauce or even lamb meat instead of beef. What makes these places stand out is the fact that their produce is fresh and the meat is soft and grilled well. The cool branding doesn’t hurt either. My number one, undisputed burger spot for the best, juiciest, simplest, yet most unique burger in town is Meat Me There. If you were to mention this place to your friends, most of them wouldn't know about it. 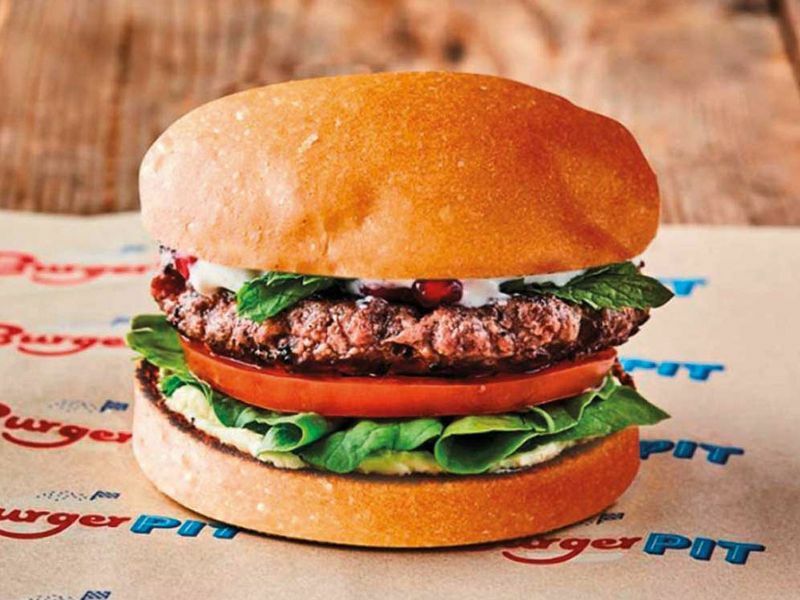 Their burger patty is made with lamb meat, rather than beef, which actually works to its advantage, because it’s super succulent and juicy. They also have a very unique white bread bun, sprinkled with black sesame. Their cheese fries are served with melted gruyere cheese, rather than that plastic stuff that comes out of a pump. It’s the perfect burger and also my favourite one. When I was in college, I used to always put an onion ring in my cheese burger, Moylo’s signature burger comes with a large Cajun tempura onion ring inside, which made me so happy. Moylo’s specialises in gourmet home-made burgers, fresh ingredients and the soft potato bread is their unique selling point. The patty is made with 100 per cent wagyu beef, American cheese and a super special sauce and of course a giant onion ring. The venues are small but comfortable and super trendy with wooden details and exposed light bulbs. Have their Moylo’s Burger with a side of parmesan truffle fries. 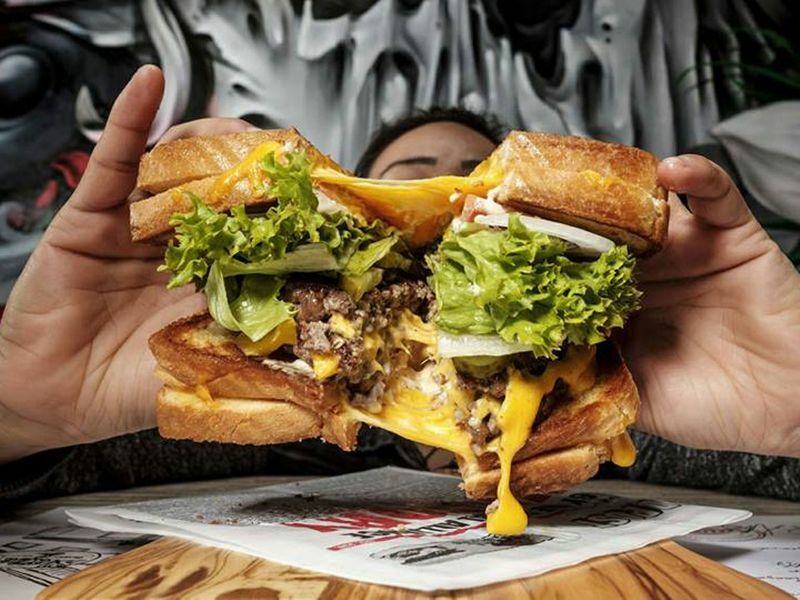 She Burger started out only taking deliveries via WhatsApp, so you had to be in the know, to enjoy one of their amazing meals. 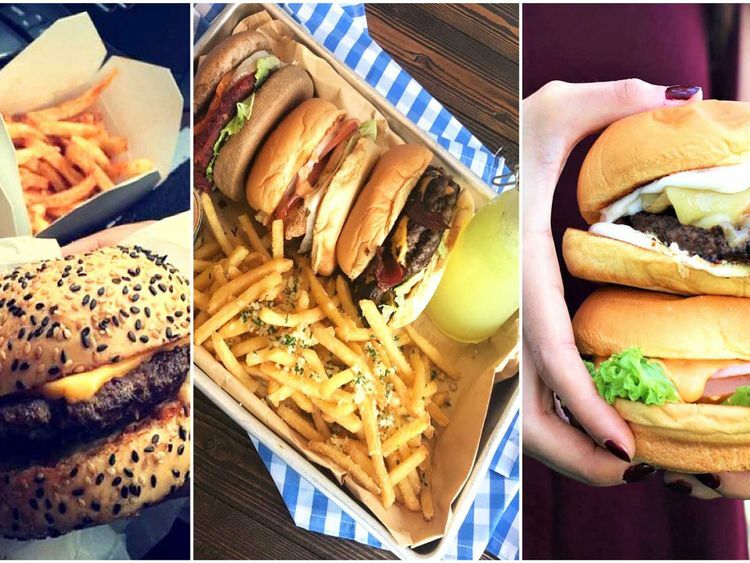 The understated burger delivery service became so popular with its fans that they finally opened an outlet at Dar Al Wasl mall. 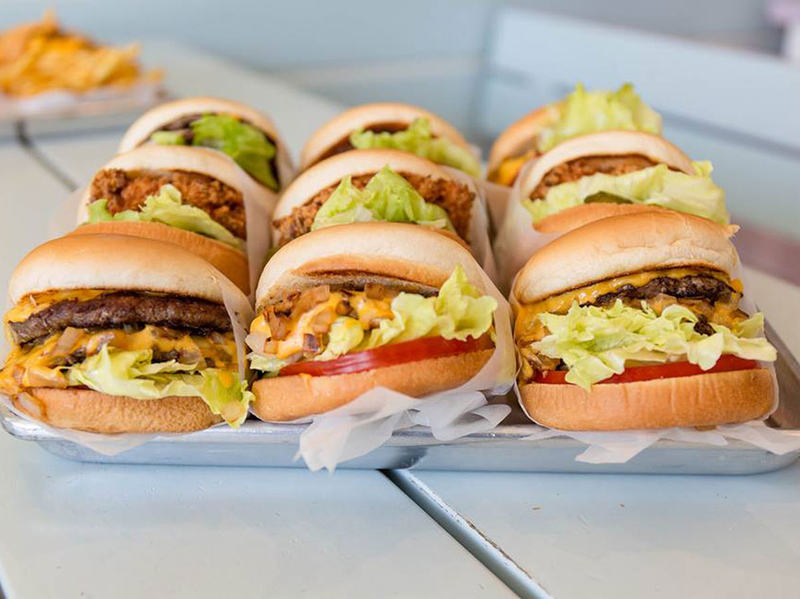 The delicious burger is the brainchild of Emirati entrepreneur Shaikha Eissa. What’s unique about her burgers, is that she adds shredded potatoes within them, so they make for an interesting flavour and a nice crunchy texture. If we are being honest, not every burger on the Parker's menu is the greates, but there is one that I go back for time and time again. Their Truffle Burger. 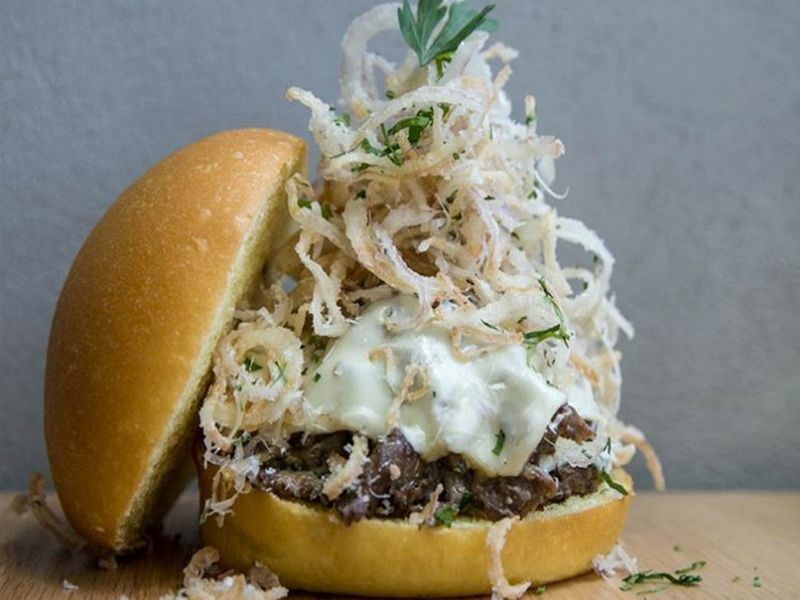 It's made with Truffle infused Wagyu striploins, truffle ranch, white cheddar and crispy onions. I get that it's kind of heavy, but this has got to be one of my favourite burgers in Dubai. Try it and you'll see what I mean. One of the beauties of Bareburger is that the ingredients are mostly all organic, so you can really taste the difference in quality. I have to say though, that their stand out menu item is their vegan burger. I know it may seem a bit strange for people who eat meat to want to try a vegan burger, but it honestly completely changed my view of eating vegan 'meat'. 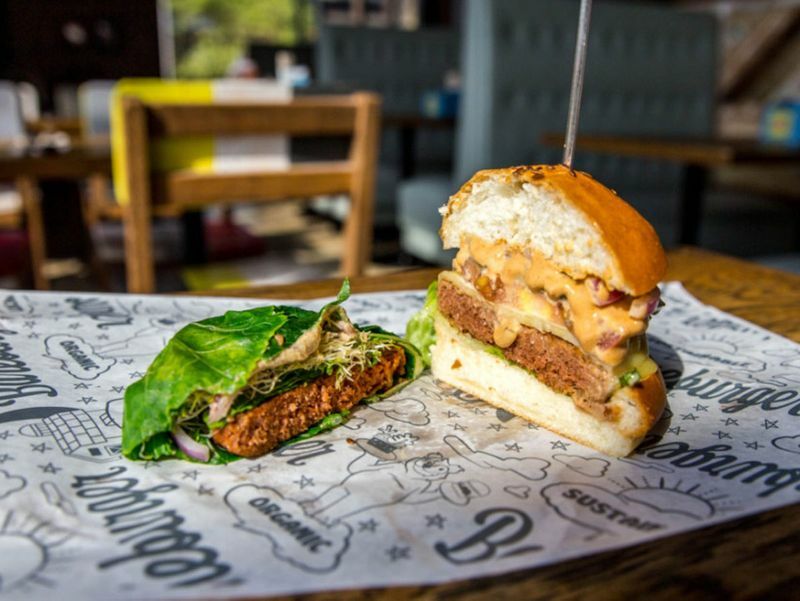 Their vegan burger is called the Beyond Burger, and it's made out of 100 per cent vegan ingredients like beetroot, potato as well as other vegetables, there even some vegan cheese on it! And honestly... I am not even exaggerating, it tastes just like the real thing. 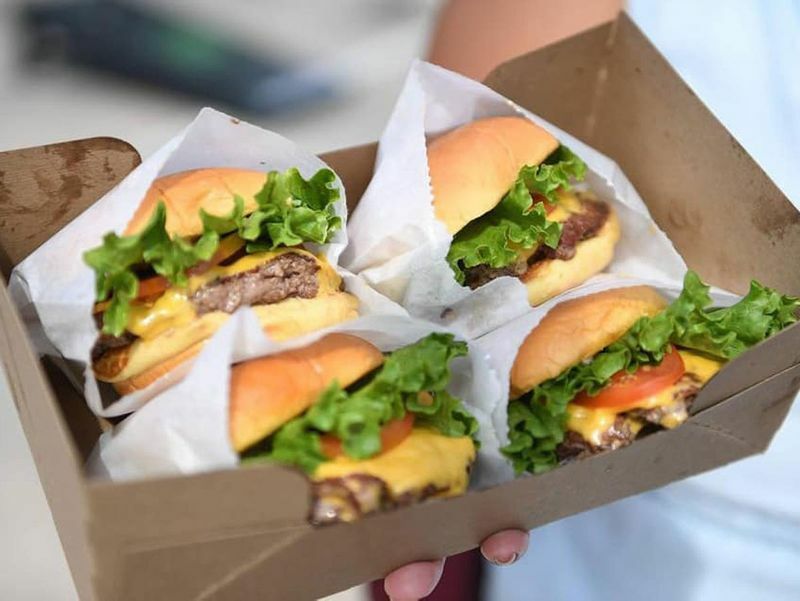 Although this brand is slightly more mainstream, and mostly only located within malls, there is something completely comforting about biting into a burger at Shake Shack. 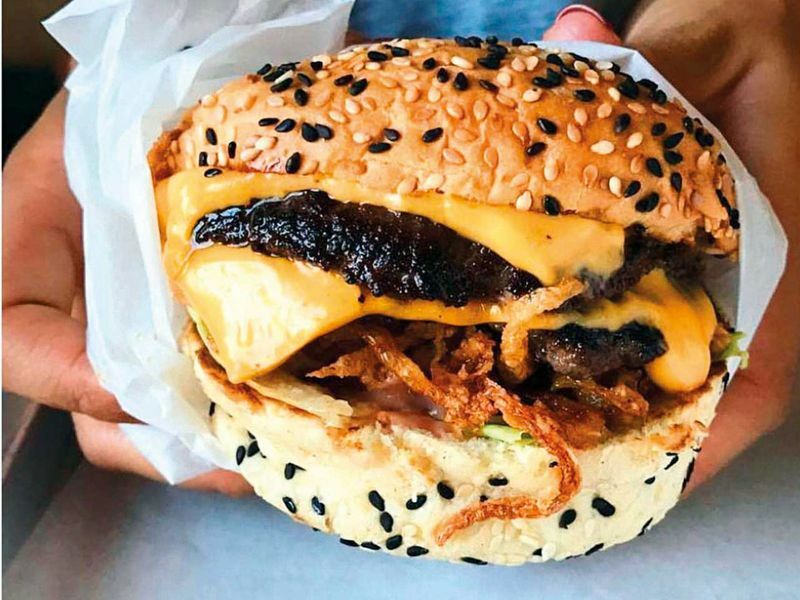 The soft and pillowy bun and the sort of jagged edge burger and that melted cheese gives it a little bit of a messy and homemade feel. The only drawback about Shake Shack is the size of the burger. When something is so good, I tend to always crave more than just one. Although it doesn’t top the list, I have a little soft spot for CaliBurger. Maybe it’s the surfy laid back vibes that draw me to this place, but they honestly do make a mean Cali double cheese burger. My friend who loves a spicy flavour says their Cali on Fire is fantastic and always a go to. Their French fries used to be those old school thick cut fries that kind of dried out after you left it out for too long, but thieve recently stepped up their game with the introduction of skinny fries that get a little greasy over time: Something I think is very important when devouring burgers. I love anything that allows you to customise. 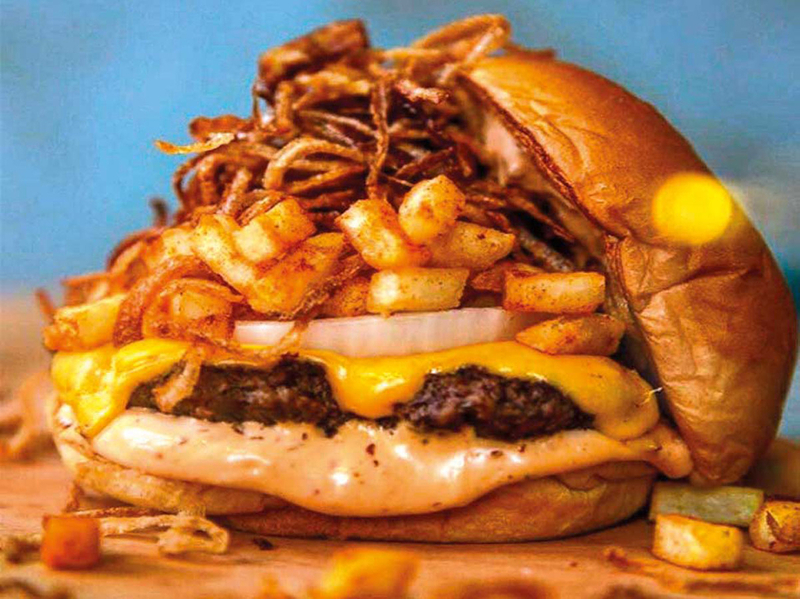 Blaze is originally a Bahraini homegrown brand that makes these juicy, cheesy burgers in an old school nostaligia kind of way. The ingredients are all are fresh They are insta-famous for the 6Abooga Burger, but I honestly recommend just having a build-your-own exactly the way you like it. I know it’s another mainstream mall spot, but you cannot deny that their burgers really scratch that burger craving itch. The burger itself isn’t made with those modern potato buns or gourmet cheese. But it’s massive, really filling and cooked well. They also have a tendency to fill the entire brown bag with French fries and you get free unlimited peanuts! 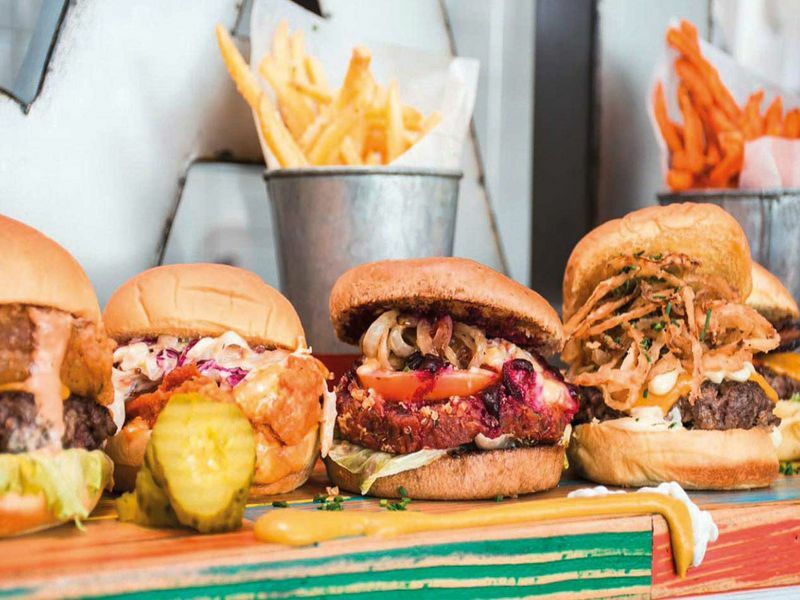 Burger Pit is a quintessentially classic American burger place, located at Dubai’s Last Exit. The venue draws its inspiration from the retro 1950s, but combines an old-fashioned concept with the fast paced life in Dubai. This gourmet food truck’s motto is simple — good quality food, done well. 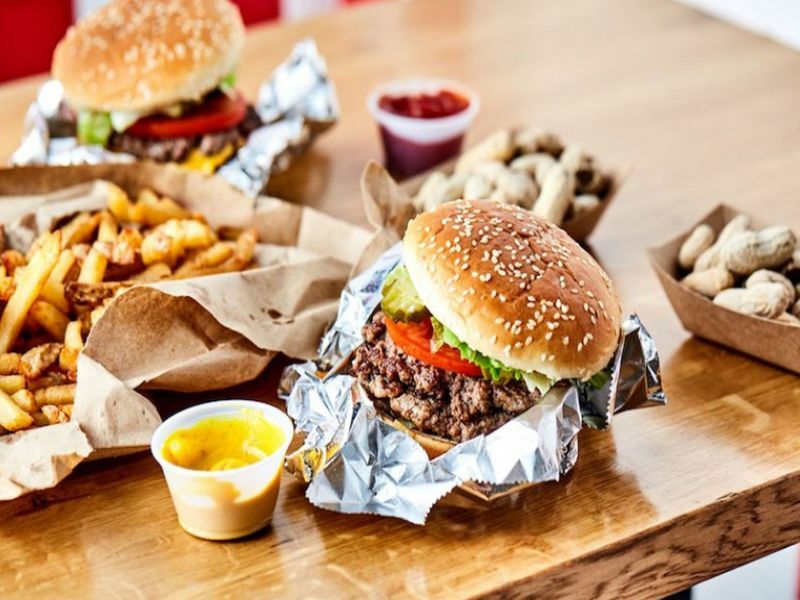 Classic beef burgers are paired perfectly with fries and the classic all-American shakes are there to wash it all down.